Vessels by DanStephDownloads 1640 The counter was reset in 2013 when the web site was moved. Before that the counters showed 2072 hits for this addons. The DeltaGliderIV-3 is one of the most advanced ship in Orbiter, it contains a living crew and also a lot of advanced features as well as a complete and unique panel. Special care was put on ergonomy so the ship would remain user friendly. Fully compatible with graphics clients. Tested on DX11 and DX9 clients (asmi & jarmonik). Atmospheric flight controls now much more reactive for a better flight experience. Airlock local light (open nosecone). All scenarios corrected to take in account Orbiter2010. 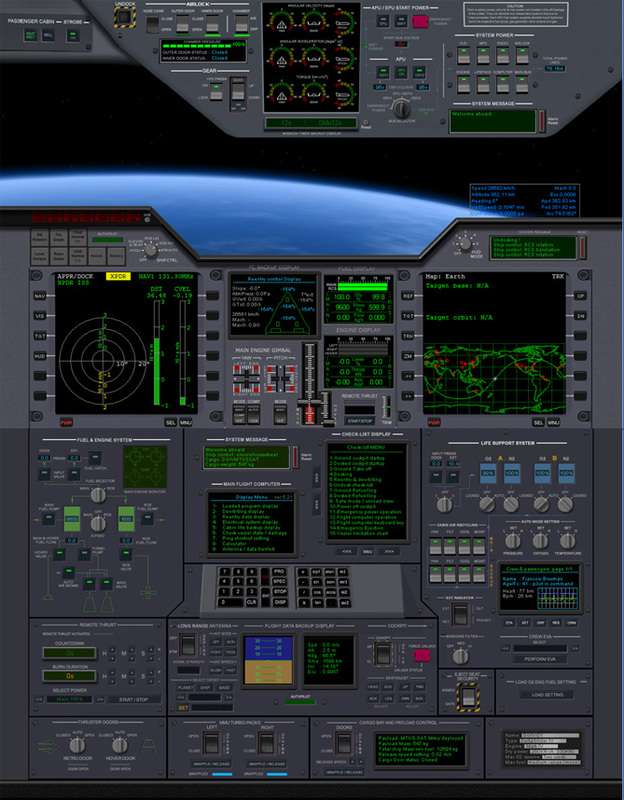 NOTE: The DGIV-3, due to new Orbiter2010 features, does not run anymore on Orbiter2006.